Playslist of my PERSEVERANCE Volume n°17 on RADIO DIO 89.5 FM, on the 27th of September 2015.Enjoy Listening! Playslist of my PERSEVERANCE Volume n°16 on RADIO DIO 89.5 FM, on the 20th of September 2015.Enjoy Listening! Playslist of my PERSEVERANCE Volume n°15 on RADIO DIO 89.5 FM, on the 13th of September 2015.Enjoy Listening! 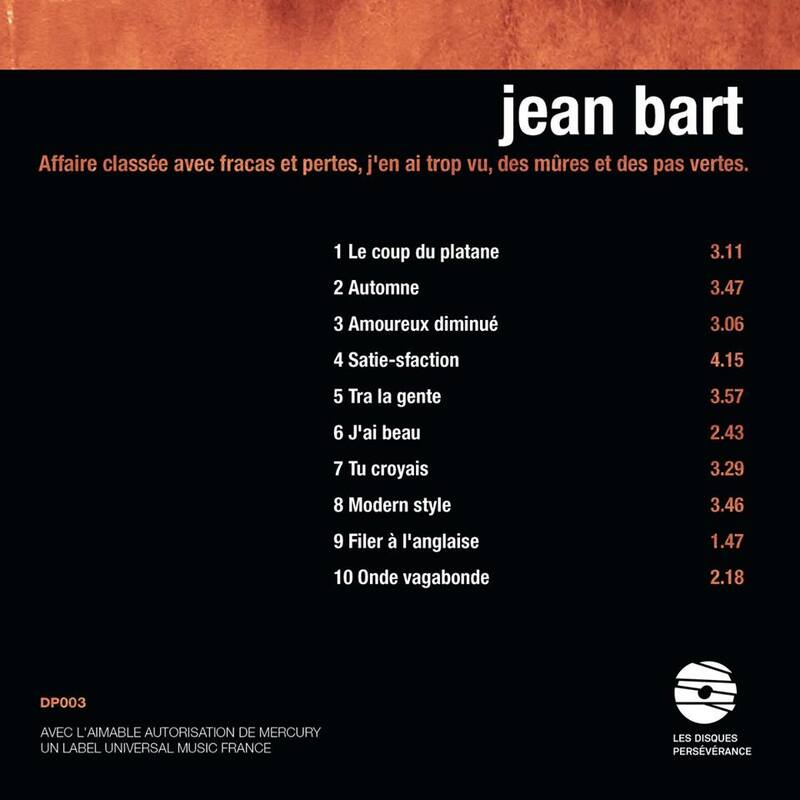 Après quatre années de persévérance, le songe est devenu réalité.Les Disques Persévérance sont très fiers de vous annoncer la réédition en CD, dix-huit ans après, du quatrième album de Jean BART « Affaire classée avec fracas et pertes, j’en ai trop vu, des mûres et des pas vertes ». L’album est en précommande pour 15€, port compris.Il s’agit d’une réédition Les Disques Persévérance avec l’aimable autorisation du label Mercury, un label Universal France. Sortie officielle prévue le 30/11/2015. 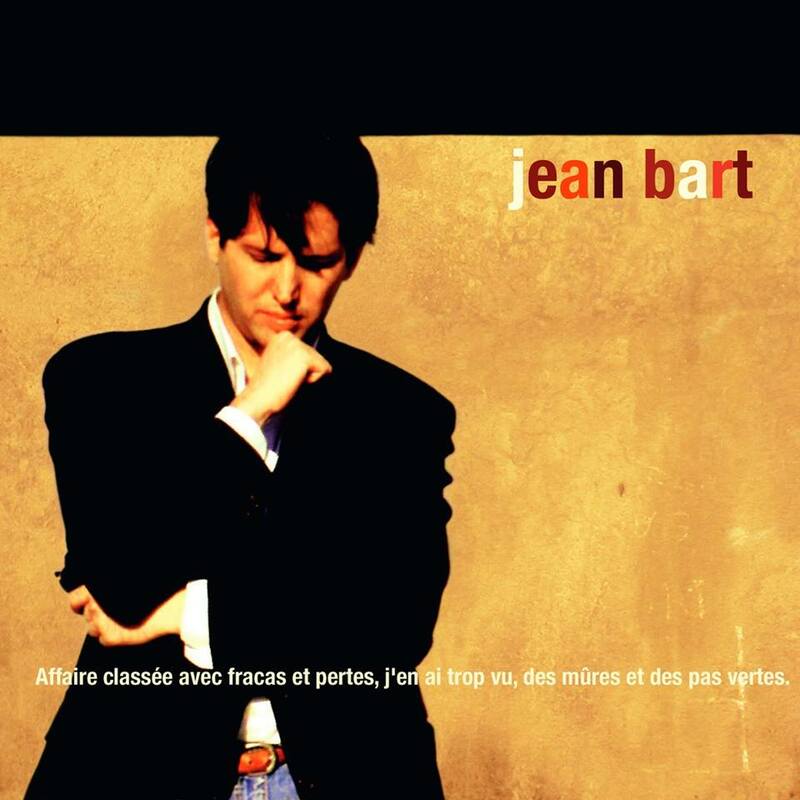 LES DISQUES PERSĒVĒRANCE are very happy to reissue Jean BART’s fourth album “Case Closed… ” first released in 1997. Jean BART’s music is closely intertwined with sequences of life and cinema. His songs are delicately harmonious and yet reveal the rawness of life, portraying the very Shakespearian turmoils of love and death… His sensibility is as close to Duras and Truffaut as to Gainsbourg’s irreductible talent … Yet melancholy lingers, as with Satie, as with Benjamin Clementine… His world and his music are unique. His soft voice whispers with fragility and folly. Playslist of my PERSEVERANCE Volume n°14 on RADIO DIO 89.5 FM, on the 6th of September 2015.Enjoy Listening!